A WOMAN from the region cooked her way to the final of one of TV’s most prestigious food shows. 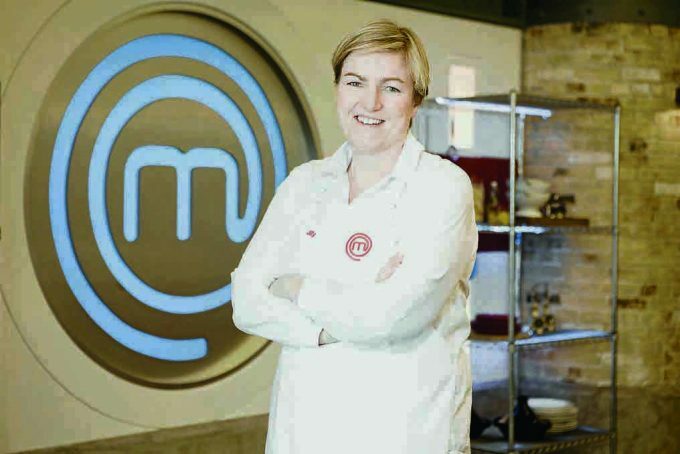 Jilly McCord, who is originally from Langholm, made the final three of this year’s BBC’s Masterchef, screened last Friday night. And although she didn’t win, the 41-year-old, who is a history and politics teacher at Dollar Academy and now lives in Fife, gained many plaudits from the judges Gregg Wallace and John Torode and the viewing public, with her venison dish singled out for high praise by well known food critic Grace Dent. Along the way, Jilly also got the chance to cook in Hong Kong and alongside Michelin starred chef Raymond Blanc. She told DNG Media: “The MasterChef experience was absolutely exhilarating to be a part of, and I can honestly say I enjoyed every minute. The first time in the MC kitchen was certainly the most nerve racking moment, but as you become more familiar with the surroundings it gets a little easier . . . not much though! Jilly is also a former rugby player, who captained Scotland and appeared in the Women’s Rugby World Cup in 2006.